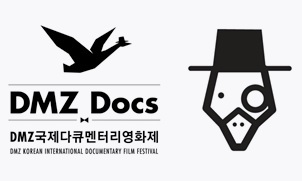 The DMZ Korean International Documentary Film Festival (DMZ DOCS) has issued its call for documentary films for its upcoming 6th festival. The application window will be open until June 20th. DMZ DOCS 2014 aims to introduce recent works from promising documentary filmmakers under the themes of peace, reconciliation and coexistence. The festival has drawn attention for its timely subjects and sincere viewpoints as demonstrated by the topical films it screened at its last edition, including Manshin: Ten Thousand Sprits by PARK Chan-kyong, Let’s Dance by JO Se-young and Sanda by KIM Mi-re from the last DMZ DOCS. The 6th DMZ DOCS will be held from September 17th to 24th around Goyang in Gyeonggi Province.